You buy nothing but the safest food for your dog, clean him or her with organic shampoo, and maybe even use biodegradable poop bags, so why not carry your furry friend in an eco-friendly bag as well? Here are some great ones we found. They’re not just eco-friendly, but they look pretty good, too. 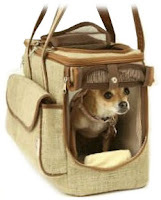 The Snoozer Eco-Friendly Pet Carrier is a lovely choice, made from recycled burlap. It’s green, roomy, and well ventilated, plus, you can also bring this bag on the plane if you’re traveling with your dog. 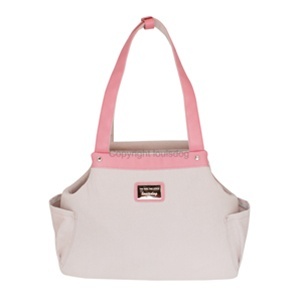 The Louis Dog Organic Canvas Bag by Posh Puppy Boutique is a pretty choice. It’s made from 100% canvas and the cushion is covered with organic cotton. Two sizes are available for this dog carrier, which is made of hemp. 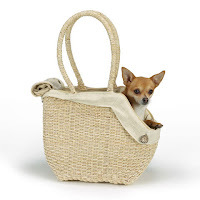 The small size is great for teacup dogs and puppies, while the large one can accommodate small dogs under 15-20 pounds. Now this carrier can set you and your dog apart from the rest. 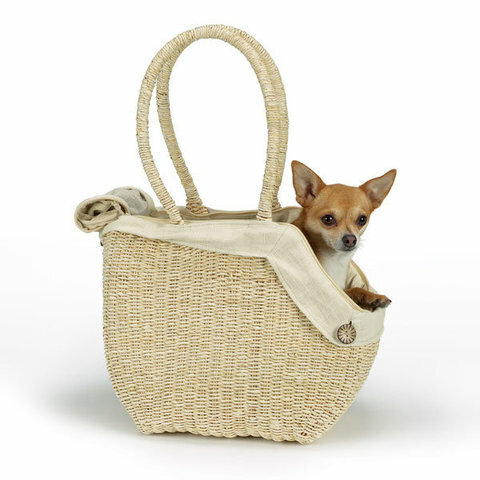 This bag by Paw Planet is made from all-natural corn leaf, cotton, linen and coconut fibers.